Ben Ripley is like many kids who think it would be cool to be a spy. When the CIA selects him for a top secret spy school, he's surprised, because math is his only strength. If he thought he was unqualified before arriving, he knows it once assassins start trying to kill him and all his fellow students seem suspicious. When a genuine crisis occurs, Ben has to use everything he knows to prove he belongs, and to stay alive. I dove right into Spy School after finishing Stuart Gibbs' book, Belly Up. I found them to be very similar: funny, clever, and full of adventure. When I told the premise to my 5th graders, they were all very eager to check out the book when I finished. It is perfect for their age group, as all Gibbs' books seem to be. Now, I'm torn. 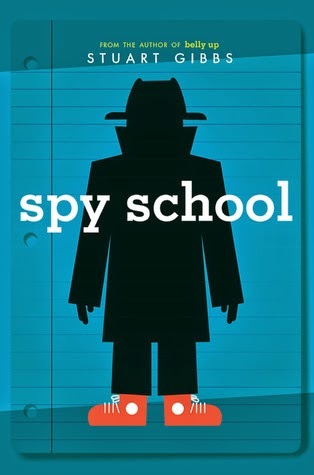 Do I read the sequel to Belly Up or do I read the sequel to Spy School first?